Have you ever been a part of an elaborate surprise party or had to keep a big secret? The anticipation and excitement can be excruciating! Finally, Scott is able to reveal his BIG NEWS! Working with his friend, Kevin Sanderson, Scott is ready to announce his new event, Brand Accelerator LIVE. This is going to be a special larger scale TAS event where sellers like you can come to get actionable content that you can use to expand your brand. Scott is pumped about this new phase for TAS. To get all the details, make sure to listen to this exciting episode of The Amazing Seller! Isn’t it great when the timing works out and you meet the right person at the right time? Maybe for you, that person was a business connection or your spouse. 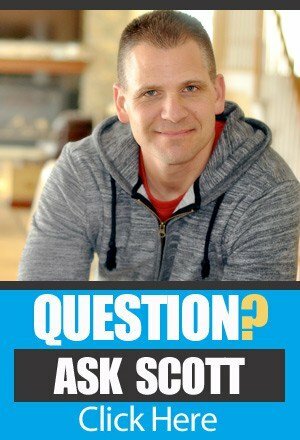 Looking back at his professional career, Scott has had some amazing connections that occurred because he happened to be in the right room. His meeting with Kevin Sanderson was no exception. Kevin has been a TAS fan for a few years now and had the opportunity to meet Scott at some TAS meetups and other ecommerce events. Everything changed for Scott and Kevin when Kevin worked up the courage to propose a large scale TAS event that he could help Scott create. Learn more about how Scott and Kevin connected and how the whole idea for Brand Accelerator LIVE played out by listening to this episode! An event built around actionable content. Don’t you hate it when you fork over your hard earned money to attend these workshops, masterminds, or networking events only to walk away empty handed and no better off? What if there was a way to build an event from the ground up that existed solely to provide attendees with a solid action plan to execute the information learned? This idea won’t be a pipe dream any longer! Scott and Kevin are committed to providing their attendees with a thorough action plan that will empower them rather than drain them as they return home and to the day to day of their business. Listen to this episode as Scott and Kevin expand on their plans and much more! If this exciting idea of attending an innovative and useful live event appeals to you, what’s your next step? Do you wait for an email from Scott or do you take the initiative? No! You’ve got to be proactive and sign you up for early access and get the Early Bird special pricing. As soon as there is a locked in date and location ready for the Brand Accelerator LIVE event, you’ll be the first to know! Don’t let this opportunity pass you by! Get all the details on Early Bird pricing by checking out the link located at the end of this post. …major announcement that I’m going to be doing here today on this show and I’ve invited on a good friend of mine now, Kevin Sanderson, to talk about what exactly made me want to do this but also he’s part of the reason I am doing it and it’s something that I was not really sure if I would ever do. And I want to kind of talk to you guys about what we decided to put into place here for 2019 and, well, I’ll just let the cat out of the bag, Kevin. It’s our first live event, bigger event. I say bigger, bigger than some of the ones we’ve done in the past which was about 25 to 30 people in the room. This is going to be upwards of 250 to 300 people and we’re calling it Brand Accelerator LIVE and it is official now because I’ve said it. [00:01:05] Scott: So, Kevin Sanderson, thank you for being here for the moral support but also for the exciting announcement and letting people know like how this whole thing came about. So, what’s up, man? [00:01:14] Kevin: Scott, it’s awesome to be here. This has been quite the journey so this is awesome. [00:01:21] Scott: Yeah. We’re letting the cat out of the bag. This is something we’ve been working on for the past probably four to five months now I think, roughly, and let’s talk a little bit about how you and I really met but then also how this whole Brand Accelerator LIVE even came to life. And I really want people to understand something before we even jump into that. I’m going to then let you talk and kind of share how this whole thing came about. But you and I, well, you are a podcast listener and you are starting your business just like a lot of people that are listening and you’ve went through the hurdles and the different obstacles but you’re still there and you’re doing well and you’re internationally selling and you’re doing great things. But you met me at an event at Sellers Summit I believe it was and we met at the meetup that I had for TAS listeners and from there, we just kind of hit it off and had a beer and talked and it was awesome. And we became friends and you’ve been really good about just helping with the international stuff and just really helpful in that aspect but then you came to me with this idea, but I just want people to understand like see what just happened there? Like, you or a listener, you showed up to an event, you and I had some conversations and here we are and you are the man behind the Brand Accelerator LIVE. Crazy, right? [00:02:47] Kevin: Wow. Yes. Wow. I didn’t even think of it that way but, yes, thank you. That’s quite a compliment. Yeah. So, we had met back in Sellers Summit last year 2017 and I started selling in Amazon in 2016 and I had gone through my old email archive before going to Sellers Summit and I found an email where I had emailed you saying, “Hey, I just started selling on Amazon. I’m excited about getting started and I think I like just got my first sale,” or something like that and you were very gracious in your reply and I forwarded that email to you which would’ve been a year from that. When I was going to Brand Accelerator, just describe a little bit more of where I was at, how my business had grown over the course of that year and went up and talked to you about it at Sellers Summit and like you said, we started talking, hit it off, talked about the game of sports officiating and some other fun stuff. And we’ve met now in a couple of other events on top of that and here we are talking about an actual event that we’re creating that we’re going to put into practice here. [00:04:07] Scott: Yeah. I just want to let people know like first and foremost, like relationships are everything like we were at Sellers Summit, Steve Chu’s event that I’ve been at three years in a row now, spoke of his event every single year and it’s a great event and I’ll continue to go and I think everyone else should go. So, this isn’t to replace like that event but what it is for me, personally, and I want to let people also know like what we’re creating here and why this is different but also like I want people to understand that there’s a ton of events out there, tons. There’re all different kinds and the most, I guess, the biggest question that I get from a lot of people at these events are, “Scott, what’s the next event I should go to? What’s the next Amazon event I should go to?” And my response is this. It’s not necessarily to go to another Amazon event. What I think you should do is go to a marketing event, get good at marketing, at branding, at understanding traffic, understanding content, understanding how you can go out there and build a brand and leverage all of these other assets that can build your brand to really be futureproof where you don’t have to worry about your business going away overnight because Amazon decides to kill your business because you have high refund rate and it wasn’t really your fault but they thought it was, like for whatever reason. So, that’s what I would tell people. I say, “Listen, this is what you should do. You should get really good at marketing. You should get really good at brand building. 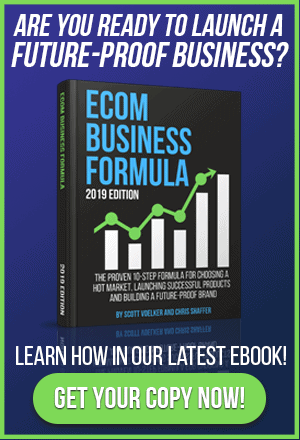 You should get really good at content creation and email list building and how to…” A lot of people have been hearing me talk about PACE, our PACE method, which is really the four pillars of building a successful brand. 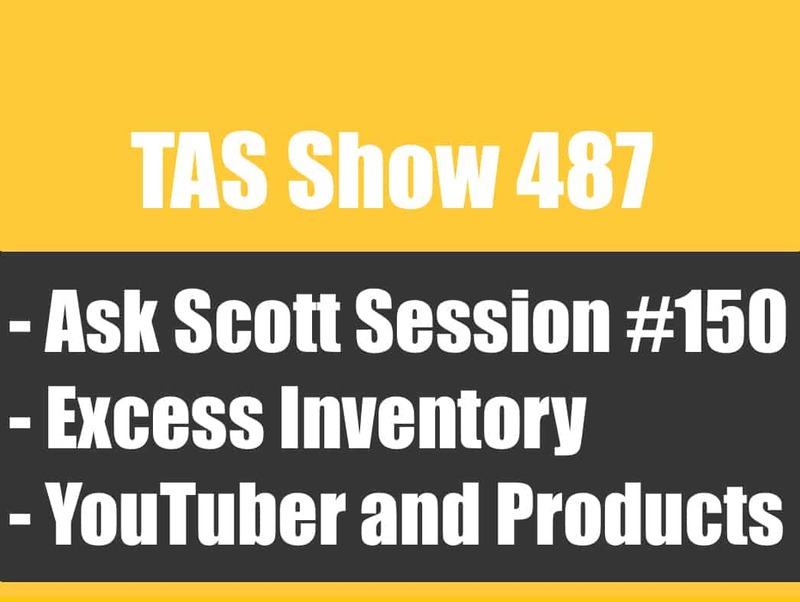 [00:06:00] Scott: And the reason why I’m saying all this stuff is because I said to myself if I’m going to do an event it has to be where you can take your business and build it into a brand, not just an Amazon tactic or something that will work maybe like short-term. It needs to be long-term and it needs to be how to really become a good business owner but also a good marketer. And marketing gets a really bad rap. I’m talking about doing it ethically, honestly, long-term type stuff like how to really like I said, future proof your business but also have something that you can be proud of. And you can also get more momentum. You could sell it for more. There’s a whole bunch of benefits but just to finish off on that rant, it’s really about what could we create that’s different. I don’t want to just create an event to create an event and for anyone that’s ever run events, they’re not really like a huge moneymaker so it’s not about making more money. It’s a lot of expense and it’s a lot of coordination or coordinating. You need a coordination too though when you’re punching the tickets and stuff. [00:07:07] Kevin: There’s a lot of both. [00:07:08] Scott: There’s a lot of both but yeah. Okay. So, let’s talk. I want to talk more about the event and stuff that we’re kind of planning but I want you to kind of like why did you come to me and say, “Scott, you really should do something here.” Like, what was the reason why you did that? [00:08:55] Scott: You never know until you ask. [00:08:56] Kevin: Exactly. And I thought long and hard about this. You probably would’ve been a lot less receptive to it if I had just cold emailed you. [00:09:08] Kevin: Yeah. Exactly. So, because we had met at Sellers Summit a couple of times and also at Funnel Hacking Live, we got a little bit more a bond when you actually meet someone face-to-face and there’s just something to be said for like the opportunities that come out of it and kind of what you learn from other people but I just kind of learn there. That was something that might help you so I just kind of like raise my hand and said, “Hey, I think this is something that I could do to help you just with my background in events,” and we said let’s go ahead and start looking into it and I give you a lot of credit because along the way, as you said, an event is not necessarily the biggest moneymaker and you’ve really been pushing on like let’s make this a quality professional event, good production, all these different aspects that very easily, in fact, you sent me a few pictures of, “I don’t want it to look anything like this,” like stuff I’m sure you found on the internet or something like that. [00:10:17] Scott: Yeah. Again, it’s like if I’m going to put my stamp on it, if I’m going to put my name on it, I want this thing to be really cool like I want it to be where people walk away and go, “Wow. Like that was well done and I walked away with a ton of things that I could implement and actionable stuff.” Everybody kind of knows me as the take action guy and that’s awesome but I need to bring that into an event. One thing that Steve Chu does good and Tony Anderson, I give those guys a lot of credit because what they do at their events are action stuff like you have to – like all their speakers are required to bring like material that they’re going to teach, not that they’re just going to tell like a cool story and be like, “Oh cool, if you want to know more than you can buy my stuff.” It’s not that. It’s really like actionable stuff and I absolutely want that. But there are so many things that we’ve been talking about as far as brand building that I feel are not really covered all that well and I don’t think it works – it works together with some events because they might have two tracks going which is fine but then not everybody is in the same room or you’re trying to accommodate like the total, total newbie and then you’re trying to accommodate an advanced seller. I think what we’re doing is we’re trying to bring the two together but also lean on a little bit more of the advanced to where if you’re new and you’re starting, you need these fundamental pieces in place and you should be thinking about all of these things that you could be doing in the future or at least starting. Like, I think all brands that start even if you’re just starting with one product on Amazon, you should start building a list and then once you have the list, what do you do with the list? You have to communicate with the list. You have to create content. [00:12:15] Scott: Like, it was funny. I was just literally talking to a private client the other day doing upwards of I think $85,000 a month, pretty good, and there I gave them exactly what I’m telling everybody pretty much publicly but I was telling it specifically to his business because what we do in our Inner Circle is we basically just talk directly with them with their business so we don’t have to hide anything. And so, I was giving him specific things that he could do but he was like, “You know, I just I need to see it. I need you to help me with that stuff.” So, in the Inner Circle that’s what we do but what I wanted to do is I wanted to be able to show all those different aspects that you can then take and either apply some of them or all of them or at least map out the way that it will take place, and then you use these building blocks within your business. And that’s really what I wanted to kind of bring to an event. I don’t want it to be just all like the Amazon hacks or the thing that’s going to get you ranked over your competition. Are we going to sprinkle in some of that stuff? Absolutely. It won’t be like how to find your next product but it will be like I have one thing that I want to definitely share and I don’t want to give too much away but it’s going to be more about like finding longer tail keywords and basically taking what you already have and capitalizing on that but with just a little bit more knowledge on how to do that. So, that would be a good topic because it’s going to help you with what you already have but yet we’re not going really beginner-beginner level. We’re past that and I think all business would really need and they can use that. The other thing is like team building. I think that’s a big one, right? Even if it’s a two-person team like you have to understand how to do that. That could apply to an Amazon business. That could apply to a brick-and-mortar. It could apply to your e-commerce business that doesn’t even function on Amazon. [00:14:53] Kevin: Because you’re excited. [00:14:54] Scott: I am. I’m very excited about this and I want to make it the best like the best event possible for my audience. Now, with that all being said like you said, I’m very picky I guess when it comes to who I’m going to have speak, who’s going to be there. The people that are there, I want them to be people like us that are willing to engage. Like you, I’ve seen you have so many conversations helping people internationally. They’re like, “I’m not there yet.” You’re like giving them like gold like right there in person like how many people get a chance to do that? So, I want to really bring the people together but the one thing I don’t want and this is one thing that you and I talk about is I’m not going big meaning I’m not going to do 1,000-person event my first event or 2,000 or 3,000. I’m not sure if I ever will. [00:16:58] Kevin: Yeah. Absolutely. And that’s the nice part is that we all have these skills sets from our backgrounds or whatnot that we forget like even going back to my first job was at McDonald’s and McDonald’s is very systematized. Now, the McDonald’s in the 1990s that I worked at is different than the McDonald’s of today. The menu is completely different but still learned kind of that overall sense of consistency and processes and how well that worked and learn that fairly early on in my career so to speak. And then having experienced working in the event industry, I don’t work in the event industry now but it’s like, okay, it’s still that overall process. It was something I was able to offer here. So, we all have these backgrounds that we have that we can either offer to help someone with or we can use it to help our audience or make us a better marketer or better seller, whatever the case is. And when we get people together in a room then we can start bouncing off everybody’s strengths and it’s just amazing. I discovered when I went to Sellers Summit last year because the funny thing was having been to literally hundreds of conferences but on the working side, I had never actually stayed overnight at a conference until I was at Sellers Summit. I was like, “Wow. This really is a lot different being on the side of someone going to the event,” and I learned there is so much that you pick up just being there and it just had me thinking a lot about how important relationships are and like we’ve brought in personal relationships into this. I’m sure some of our speaker line of people that you know and vouch for and on the planning side, I actually was at an event for work and I just walked up to the audiovisual company and introduced myself and that’s who we’re leaning towards right now for audiovisual. [00:19:55] Scott: Yeah. I’m excited more now than ever and now that it’s real, I mean, I literally inked my name on a contract which I’m on the hook. So, it’s kind of like, “Okay,” and what did I say to you, guys? I said that you, my whole team, I said the whole team I said you, Chris, Joel, Angel I said everybody I said, “Listen, like I’m ready to sign this but I need to know that everyone is on board and we’re going to make this the best event that we possibly can and I want people to walk away feeling as though they got a huge amount of value through connections, through content, through just being there, through the energy in the room.” You guys all know that I’m pretty high-energy and I want that to be there as well not just for me but from other people and I know that it’s one thing to get you all fired up but we got to get you out there to take some action and that’s what we’re going to basically build into this thing as well. [00:21:58] Scott: And by me bringing in people like Kevin and like Chris and Joel and my whole team like being able to do that that also allows me to reach people in other areas of their lives and that’s really the most exciting thing for me. So, we’re just getting started but, man, I’ll tell you what, I’m super excited about this because we have some really cool things planned and we’re going to try to pull them off but we might not pull them all off but we’re going to try and I could tell you there’s one big one that is going to be a big one for me but also a big one for everyone that is there and I’m really, really excited about that. But I’ve got some other cool things planned and I know, Kevin, you and I have been going back and forth with some cool stuff and we just want to make it a really awesome experience but also where you walk away saying like that right there like that has potential to change my life. Not just my business, my life. And that’s really what I want people to take away from this. So, yeah, I don’t know. I’m just super excited about this. I know I said that about 100 times but I am. [00:23:05] Kevin: Your whole team there is with you. [00:23:06] Scott: Yeah. I know. It was scary. Like I said to you the other night through text, I go, “Dude, this is getting real like I’m going to be signing on a dotted line,” and if there’s a lot riding on us because we are basically putting our name out there and I don’t know if anybody knows how that works but basically I’m saying like this thing’s going to happen and if not, I’m going to have a party at this hotel and maybe my wife and I will celebrate our 25th anniversary there or something, quite a whole bunch. But we joke about that but no, it’s real and it’s one of those things that I felt in the past and when I feel it, it’s a sign that we have to do this like this isn’t just for me. This is for everyone that’s going to be a part of this and I’m really, really looking forward to really planning everything. Just to let everyone know too I’ve got like some really great guests that are going to be there, some very close friends of mine that I’ve become friends through this business and through my other groups that I belong to or other masterminds and they’re high level. Like, I’m bringing in some pretty high-level people and one of them I’m not announcing as of yet but it’s a big deal and it’s going to be pretty awesome to be able to hang out and also learn from these individuals. Because that’s the other thing like I’m creating this for myself so this way here I can learn and we can all learn together because I’m still learning this stuff. I might be a little bit further ahead of you that’s listening right now but understand that I’m always learning. I’m always wanting to try new things or develop a different angle or just anything when it comes to marketing or building a business or lifestyle, I’m all about that. Mindset, another big one. We’ll be definitely talking about that there. I got some really cool people that are going to basically help us with that. [00:25:02] Scott: But, yeah, there’s just so much that we could talk about and I’m sure we’ll be talking about more in other episodes and things that we have planned but let me just let everyone know that is interested depending on when you’re listening to this, we are going to do an early bird list. Okay. So, basically, anyone that wants to sign up as an early bird to get notified basically because we are going to have limited tickets. There’s only going to be max of 300 tickets. That’s it. That’s it for this event. Now, we are going to roll out the first 100 at a discount and so anyone that’s on the early bird list will have the opportunity to grab those and then from there, we will release another batch and then will go full price. So, there’s going to be some VIP stuff. There’s going to be a couple of masterminds, small very intimate that will be the last day. So, if you want to find out if this is for you, if you want to attend this, it’s going to be in September of 2019. So, I’m giving you guys plenty of time to plan this, put it in your calendar and also, it’s given me time to plan and get myself ready and it’s going to be mid-September 2019. There you go, guys. I said it so it’s official and the dates will be on the page soon so if you are interested, head over to, I’m going to give you two links because one of them might be harder to spell than the other, BrandAcceleratorLive.com or the easier one would be TheAmazingSeller.com/Event. So, TheAmazingSeller.com/Event or you can just go to BrandAcceleratorLive.com. All of the information will be there. Whenever we have updates depending on how many tickets are left, all that stuff will be there so depending on when you’re listening to this, if you’re listening to this when we air this, it will probably be an early bird mode. [00:27:06] Scott: And then from there if you come in maybe a week or two later, it will be in the pre-sales and then from there we will open up. So, definitely get on that list or if you’re listening to this after the fact, get over there and see if there are tickets still available and hopefully, you’ll be able to hang out with us. I’m really looking forward to this and like I said, I’ve got some cool things that I have planned and we’re going to make that stuff happen too but it’s going to be an amazing event hence The Amazing Seller. Did you get that? [00:27:36] Scott: Pretty good, right? [00:27:36] Kevin: I got it. [00:27:37] Scott: And Kevin, by the way, is my official referee so we might even have a little surprise that we’re going to have there. I don’t want to give it all away but we are going to have some fun. That’s all I want to say. We’re going to have some fun. This is going to be, technically, it could be as much as a three-and-a-half-day event. If you’re coming for just the two days, it’ll be two days of solid like event stuff like if you’re part of the mastermind, it’ll be an extra day at the end. That’s going to be limited and then also some VIP stuff will happen the night before the event starts. But anyway, the information will be all linked up on that page. What else did you want to talk about before we wrap this up, buddy? [00:28:19] Kevin: I just want to say that, one, I want to give you credit for taking the risk and hearing me out and really saying, “Wow, this is going to work,” and I just want to remind you on air of just, on air it’s like on the radio, you’ve got a great team behind you. Joel and Chris and Angel and everybody that’s helping with this as well, Groups 360, Jennifer our contact there, sight and sounds, audiovisual, like all of these different people that it’s amazing how many are going to be making this seamless so that for the attendees, it’s a very hotel word, but for everyone who’s coming to the event, they just get to have the opportunity to come to an awesome event, sit down and just soak in all this stuff and be surrounded by like-minded people. So, I mean, I am just over the moon excited about this and I just want to say, again, thank you for hearing me out on this and it’s incredible to see it now come to this point and I just can’t wait until the days when the actual doors open and the event starts. [00:31:01] Kevin: Oh, just reading a memo. [00:31:03] Scott: Yeah. I’m just reading a memo. It’s just a long transcript of the podcast. So, yes, so really excited about this and I will be giving you guys updates. If you guys are interested in joining me, please go there. Get on the early bird list. We’re going to release a small batch of tickets to the first movers, the ones that are going to get out there and take some action and we’re going to give some discounts on those seats and we’re going to do some VIP stuff as well. So, go check that out and depending on when you’re listening to this, everything will be updated on that page so when we do sell out, those announcements will be made there as well. And again, guys, all the details are there so I’m not going to go in like what we’re going to be doing I think I’ve covered pretty much all of it and Kevin, but I just want to say that I’m really excited about this. I did want to also say too, I should’ve probably said this a little bit earlier, sponsors. We are going to be reaching out to sponsors that we feel would be a good fit and if you are a sponsor that’s listening to this and you want to sponsor a booth or even just some of our other sponsorship packages, you can do that by just sending an email at support@theamazingseller.com and just put in there “Sponsorship For Live Event”, something like that and we are not going to accept all sponsors. We’re only looking for a handful and we’re looking for ones that we either use or ones that we feel would be a great addition to someone’s business. So, definitely reach out to us if you’re interested in being a sponsor for this event. Other than that, I think we’re ready to rock ‘n roll out of here. What do you say there, Kev? [00:32:44] Kevin: Let’s do this. [00:32:45] Scott: You’re ready to do it? [00:32:46] Kevin: Let’s do it. [00:32:47] Scott: All right. Cool. All right, guys. Remember, as always, I’m here for you, I believe in you, and I’m rooting for you, but you have to, you have to, come on, say it with me, say it loud, say it proud, Kevin’s going to say it with me on the count of three. Are you ready? [00:33:02] Scott: All right. One, two, three, take action! [00:33:07] Scott: Have an awesome amazing day! And I’ll see you right back here on the next episode or maybe I’ll see you in September.